One of the brightest comets to be seen for many decades, reaching its peak brightness on 1st April 1997. One of the brightest comets to be seen for many decades, reaching its peak brightness on 1st April 1997. It remained visible to the naked eye for about 18 months, more than twice as long as any other comet on record. It was discovered by Alan Hale, a professional astronomer, and Thomas Bopp, an amateur astronomer. 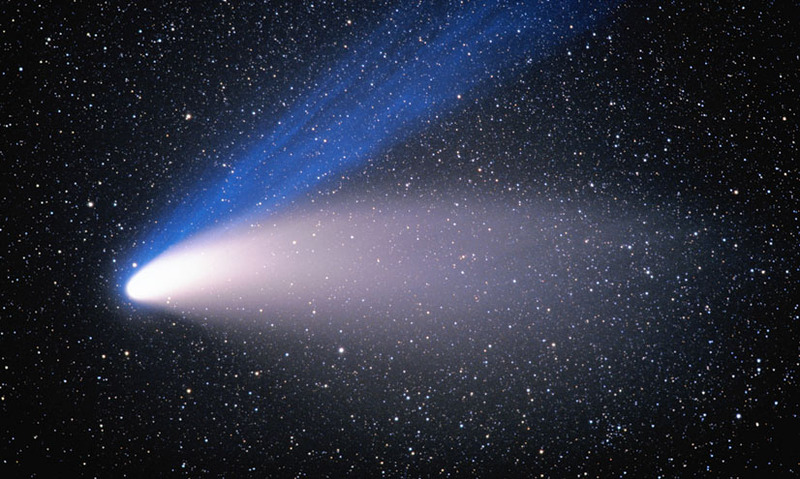 It remained visible to the naked eye for about 18 months, more than twice as long as any other comet on record. It was discovered by Alan Hale, a professional astronomer, and Thomas Bopp, an amateur astronomer.